For any dietary requirements, please see our recipes & allergens page. The original 'Mirrie Dancer' & where our story began, capturing the colours of the Aurora Borealis, with a smooth Raspberry Ganache centre. 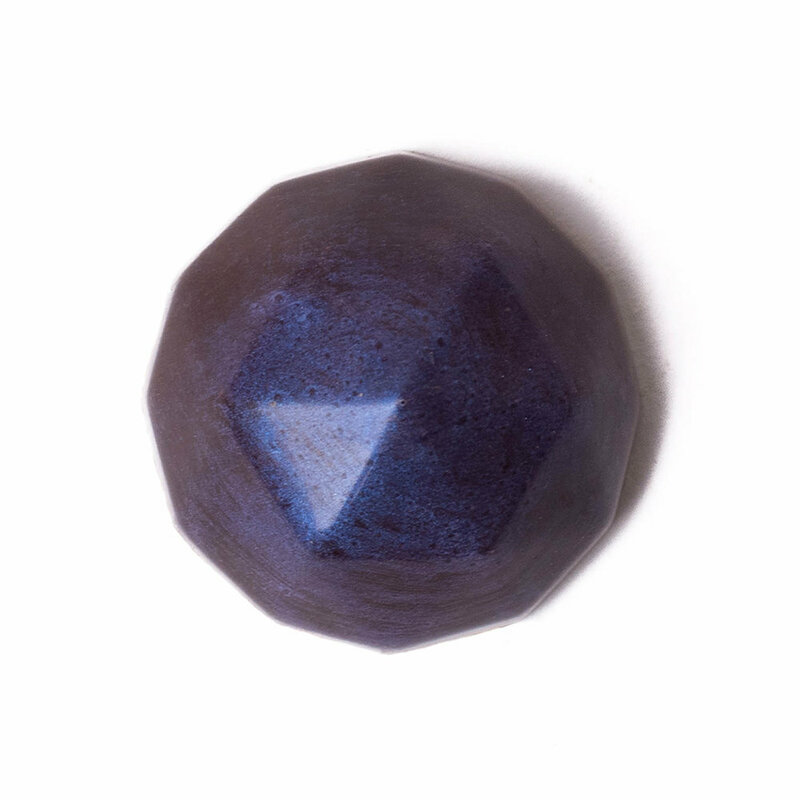 The Passion Fruit's colours brought to life with a clean, sharp and soft textured ganache centre. A smooth Cherry Ganache combined with the even smoother Amaretto make this our newest, and already one of our most popular additions to the range. Our hand made and decorated Praline using the local Shetland Reel Simmer Gin, enhanced with orange oil. Locally harvested Sea Salt combined with silky caramel make this everyones favourite, certainly one of ours. Two classic flavours combine to bring the best from each other. Sparkling colours reflect the spices in our Spiced Chai Tea Praline. Created for last years International Curry Day, this has become one of our staple and oft requested pralines. 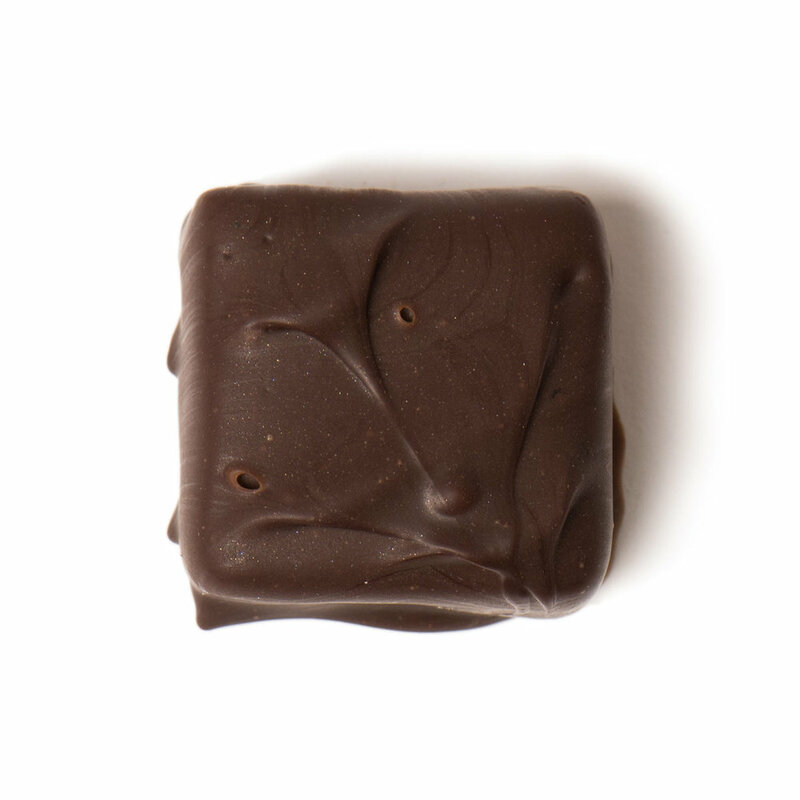 Roasted hazelnuts combined with our Belgian Milk chocolate make this classic hard to resist. 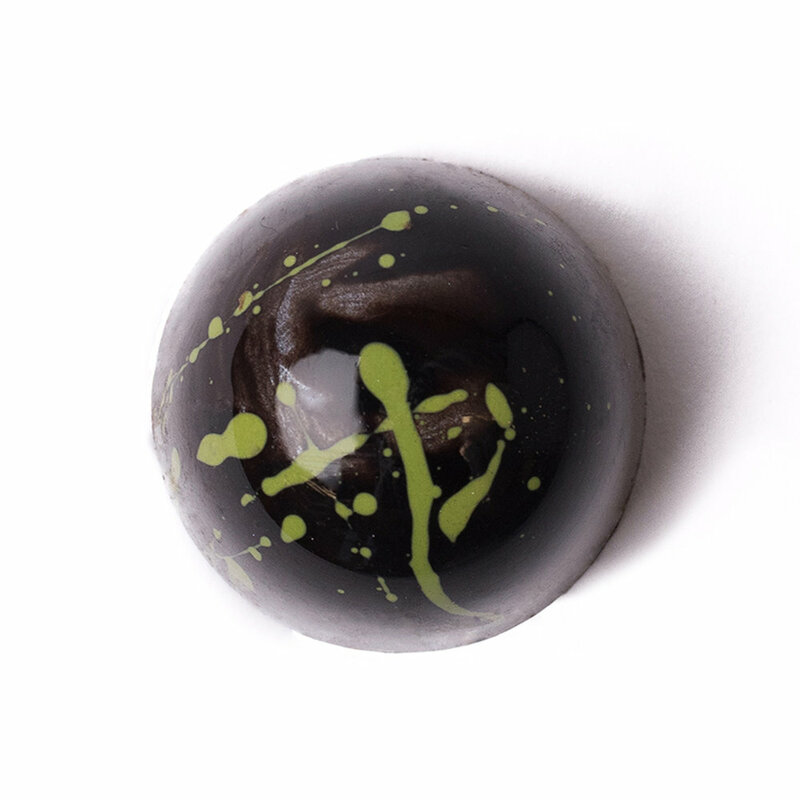 Enjoy our pyramid with a smooth Prosecco Ganache contrasted with a sharp Lime Purée. 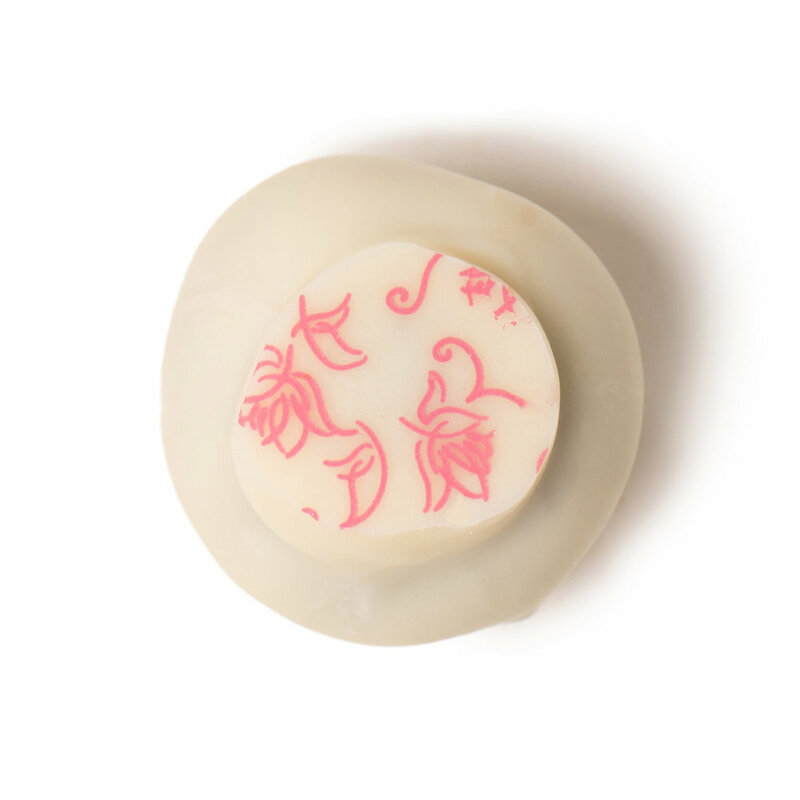 A smooth Cassis Ganache enrobed in the finest Belgian White Chocolate. A classic combination that continues to remain one of our best sellers. A local Shetland Reel Whisky, Shetland Cream and paired with the finest Lübeck Marzipan. Hand dipped in dark Chocolate, decorated with Gold Leaf. Yes, in Chocolate form, it sounds unusual! However the two flavours subtly combine to make you wish you’d asked for more. Perfect for that after dinner treat. Hand dipped in dark chocolate these truffles make the perfect cosy treat. Locally harvested Smoked Sea Salt combined with our home made Smoked Caramel. A 41% Milk Chocolate ganache using our locally brewed Shetland Skald Mead, layered with a Blackberry Jelly. An aerated Ruby Chocolate Praline using hints of Raspberry & Lime to compliment the Angelica used as the Botanical in this Orkney based Kirkjuvagr Gin .